This is an amusing and interesting thing to experience. 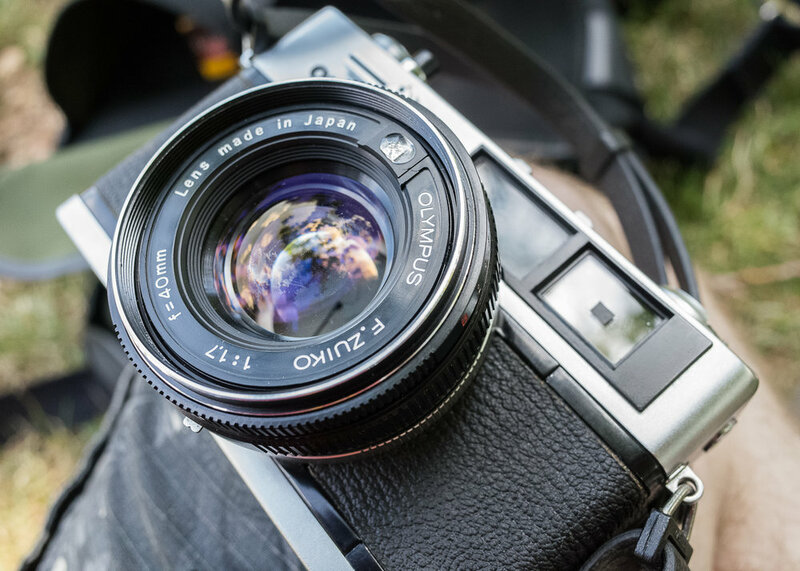 Rangefinders are very particular cameras, and are fast and accurate to focus, for people that have experience shooting them. For someone using one for the first time, it can be confusing or baffling to approach photography differently. I found it fairly easy to adapt to shooting with a rangefinder, and enjoy using this medium to produce photographs. But I have known quite a few people struggle to get used to the system or just generally get so confused they put it aside. Teaching someone to use parallax lines is not too difficult, most people get this concept. It usually comes down to the rangefinder focusing system where they are concerns. I try to show two approaches to rangefinder focusing: Just match two images together, focus using any lines or shapes you can see, then recompose. The second is use the distance calculator on the lens. If you are between F5.6-16 you can guarantee a large amount of what you can see will be in focus, if you use the meter/feet calculator to your advantage. Black electrical tape - cut a small rectangle the size of the rangefinder patch, and stick it on the viewfinder over the patch section. This makes the rangefinder patch easier to see in bright light. Stop shooting other cameras: Work on your rangefinder skills by temporarily putting aside your other cameras. Pick a camera with information in the viewfinder: Rangefinders have all sorts of different kinds of information in the viewfinders, check some out to see what works for you. Most have some sort of information regarding exposure in them. Stay open minded: If you don’t gel with it right away don’t give up. Try to take a step back and give it another chance, you never know, it might just click! It can be very amusing watching someone struggle with a rangefinder system! But try to empathise with them as well, as you know there is a reason why SLR cameras became the mainstream staple. Give them some time, and if it isn’t for them, then it’s not for them.